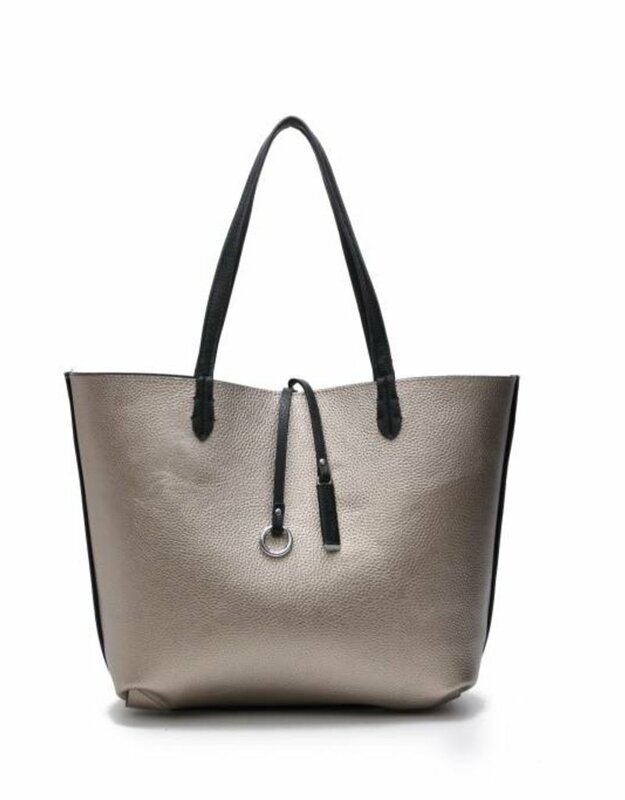 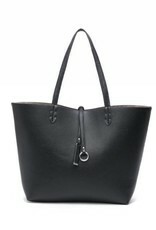 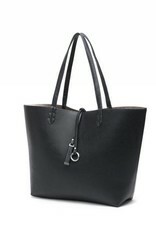 The Emily is a great everyday, lightweight, reversible tote bag featuring two different colors. 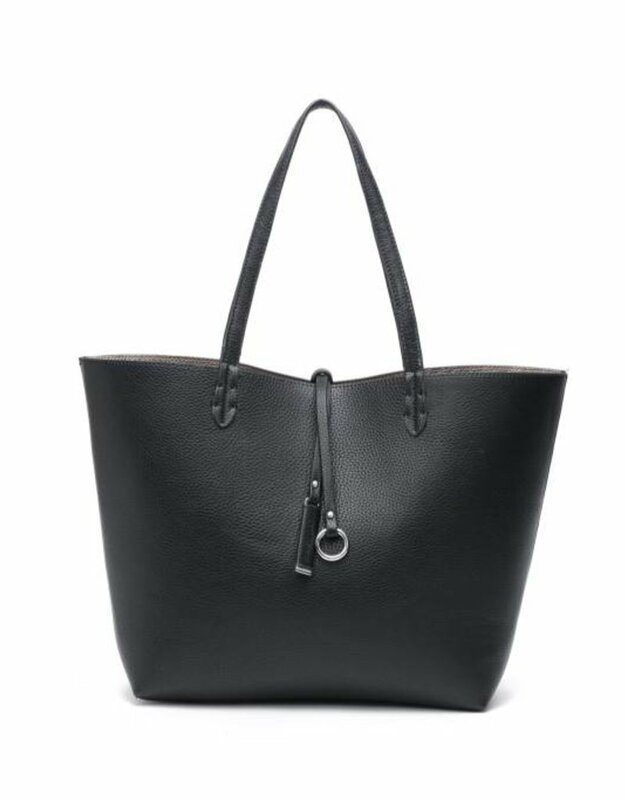 The high-quality vegan leather material allows easy maintenance of this handbag and provides a great leather like look-and-feel. 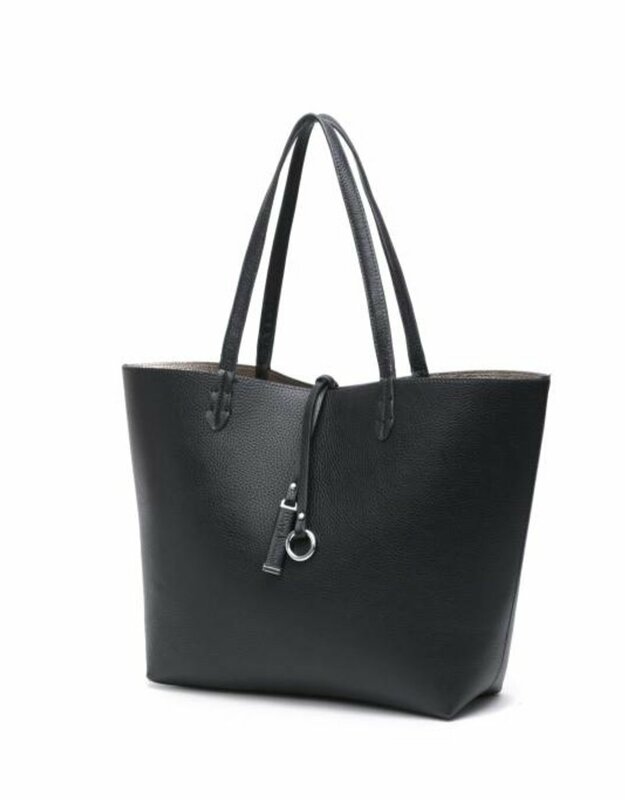 Featuring our signature circle and Happy Wahine bar strap to compliment the look of your tote. 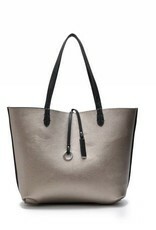 Size: 18" x 11.5" x 4"